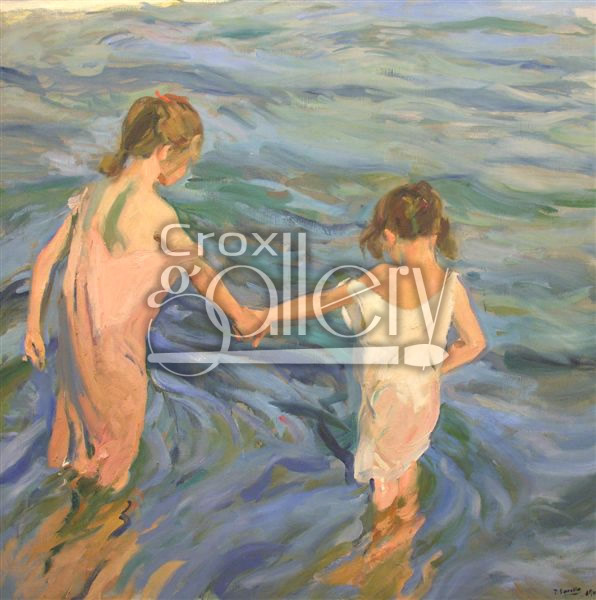 "Girls in the Sea" by Sorolla, Seascape Oil Painting. 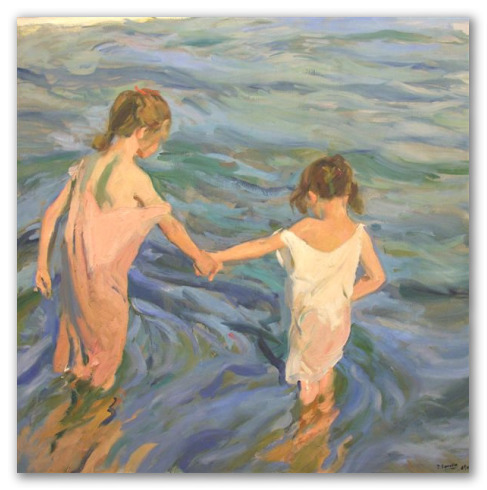 Girls in the Sea by Joaquin Sorolla y Bastida is a copy of the artist's impressionist work, which belongs to a series of seaside paintings done in Valencia, Spain. It displays two little girls having fun at the beach.